Stitching Nelson Mark II – is there room for me to sew? This time last year I joined the London Modern Quilt Guild. As a result, I have met some wonderfully inspiring quilters, made new friends and learned how to sew curves. At each meeting, members bring along their quilting to show the group and talk about the techniques they have used or their fabric choices. Since last September I have been sharing progress on the Nelson Quilt and the other Guild members have been greatly encouraging about this long running project. The Guild sets regular challenges – sewing something with curved piecing, making a bag to swap, interpreting a design and so on. The current challenge is to make a block inspired by Urban London. 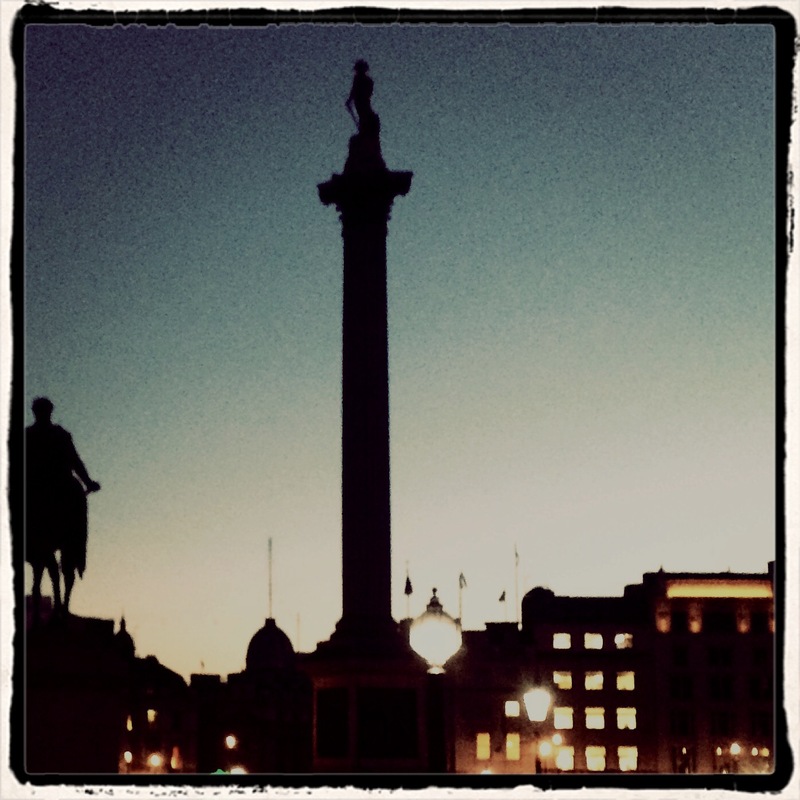 Given my current research interest in Maurice Elvey’s 1918 Nelson film, my thoughts turned straight away to Nelson’s Column for my Urban London block. From the ground, one cannot see Nelson’s face, but close up photographs of the statue show an extraordinary level of detail. 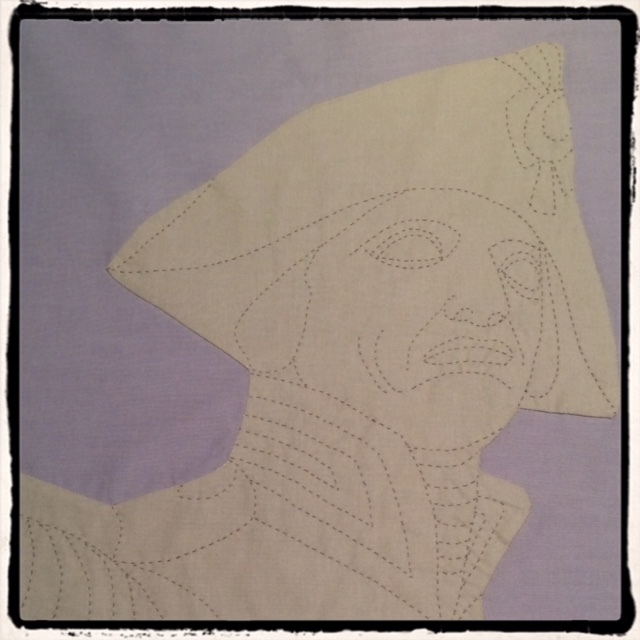 I had found my inspiration – and a second stitched Nelson. 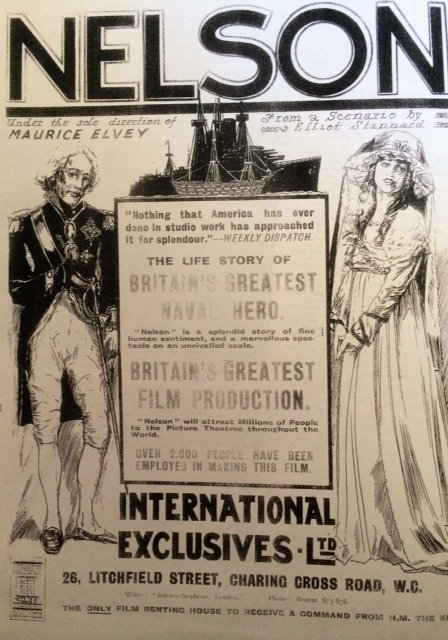 Having said that, there are flaws in the acting, some terrible make up and a particularly dreadful wig used by Donald Calthrop as the ageing Nelson. There’s plenty of evidence of a rushed production schedule. It’s a problematic film – but a fascinating one, particularly if, like me, you have been researching the production history. I think I might be working on Nelson related projects for some time to come.